Last week I talked about the materials that I use for embroidery, but what I didn't include with that list were patterns or the items used for transferring those patterns to your fabric (or whatever you're stitching on). Every once in a while, I embroider without a pattern. I just stitch for fun and to see what I can come up with. 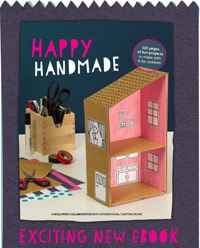 It's really enjoyable, and I recommend giving it a try...but most of the time, I start with a pattern. There are so many places to find patterns (of course, I'm partial to my own pattern sets! ), and a simple Google search will turn up 83 million results. Maybe that's an exaggeration, but not by much. You'll even find embroidery patterns at the dollar store. Don't believe me? Just go to the coloring book section, and you'll find lots of options to work from! 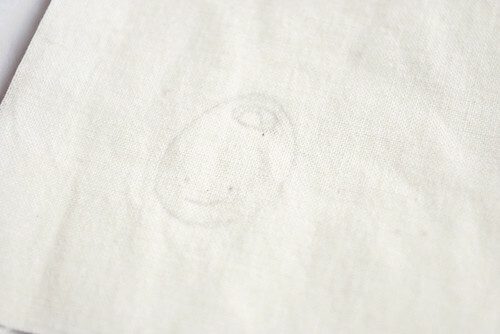 Tracing paper, embroidery transfer paper, a white transfer pencil, a water-soluble pen, and a regular pencil. Actually, until recently, I was only using the tracing paper and regular pencil. They would meet most of your needs, so don't feel like you have to buy a lot of special stuff for this! If you are buying the special items, you can often find them in the embroidery section, the quilting section or with sewing notions. 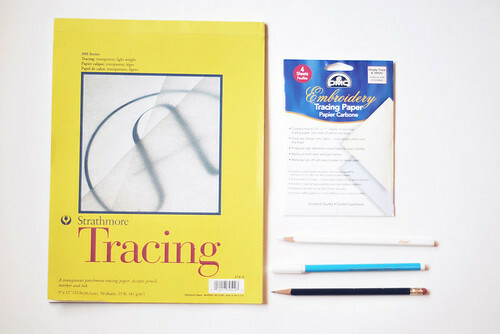 The main method I use is tracing. It doesn’t get much more basic than this. But it works. 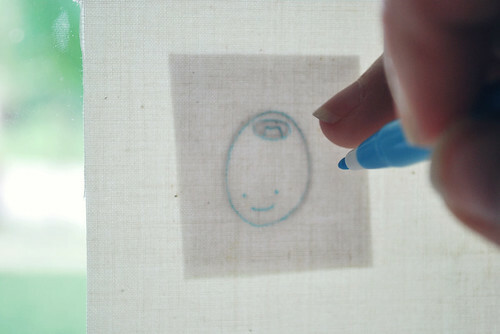 For this, you’ll lay your material over your pattern, hold it up to a brightly lit window (or a lightbox if you’re fancy), and trace the pattern. 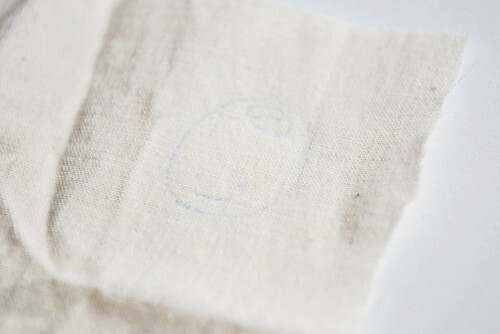 A water-soluble pen is fantastic for this (after you're done, a damp cloth or quick rinse takes away the markings), as is a disappearing ink pen (if you will be stitching somewhat quickly) or a regular pencil (so long as you cover your markings with your stitches). This works best for light-colored and lightweight fabrics, but you can do it with some dark fabrics too. For that, use a white pencil. Transfer paper is an easy-to-use method, and it works well on lots of different materials...especially those that you can't hold up to a window! Place your fabric (or other material) on the bottom, lay the transfer paper face-down, and then place your pattern on the top. With a regular pen or a stylus, trace over the design. The color that was on the paper is now transferred to your material. Oh, and the paper comes in blue or yellow, so you can use it on dark fabrics too! 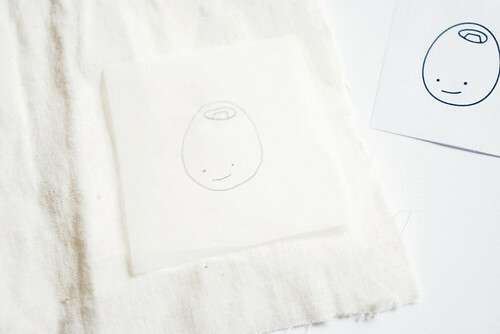 You can also make your own version of transfer paper by rubbing a soft pencil on the back of your pattern, then flipping it over and tracing over it just like you would with transfer paper. Fancy, huh? Still, there are some materials that are just too tricky for any of these methods. Fleece, felt, denim, even canvas sometimes requires something different. And tracing paper is my secret weapon for these. Trace the pattern onto the tracing paper, hold or pin the paper onto the fabric, then stitch through the fabric and paper all at the same time. It comes out looking like this. All you have to do then is carefully tear away the tracing paper! The most important part is to tear the paper without pulling the stitches. Transfer patterns give you a pattern and transfer method all in one, and that makes them easy. But I don't use them very often. Transfer pens allow you to make your own transfer pattern from any artwork (see coloring book idea above), but again, I don't use them. It's not that I'm against these, they just aren't in my regular supplies. I do, sometimes print a pattern on a laser printer (or photocopier) and iron that...it's not a great transfer, but it works on some fabrics! 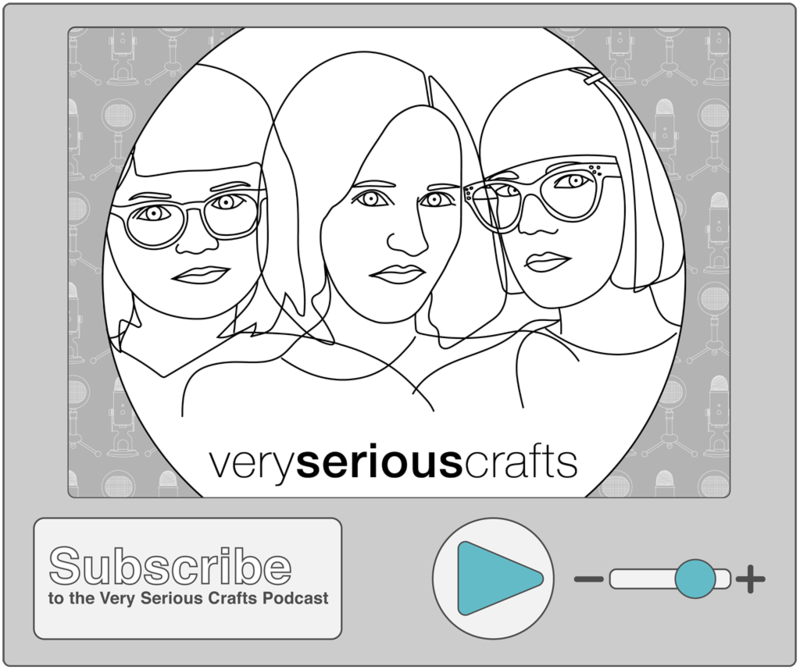 We're one step closer to stitching! With this collection of methods, you're sure to get your pattern onto just about anything. Questions? I'll do my very best to answer them in the comments! NEW! For another way to transfer your pattern onto any fabric, check out this post. Download the PDF of this Embroidery Basics post here. This is exactly what I needed to know - I love that I can stitch right over tracing paper. I never would have thought of that! This is fabulous and simple! Thank you! Cool beans! I use my window all the time...he he. :) Or a lightbox, if it's dark out. *Love* the tracing paper tip, too! This is so great! Can't wait till colours! Thanks for the tips and tricks...I usually just draw or trace with a pencil... but looks like I should get me one of those water-soluble pens...hehe! I've wanted to to try embroidery for some time now but haven't really known how to start. Thanks for both of the lessons so far, they're really useful and encouraging (no excuses now) - I'm really looking forward to the rest! 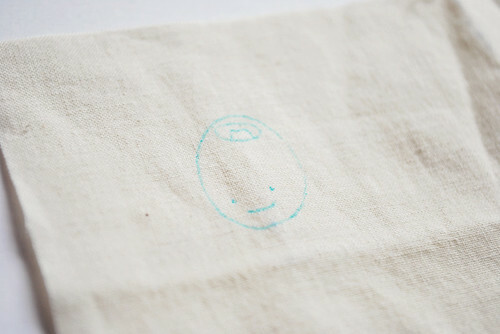 I love to embroider things my kids have drawn on pillow cases, tea towels, etc. Rather than go through all that I scan their work, flip it horizontally in Photoshop, print it, trace it with the appropriate pencil, iron the pattern on and go. It works great!! Great tips! 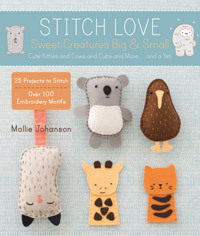 I hadn't thought of stitching on fleece, but that would be cute as an extra on the blankets I make for charity projects! By the way, you can also transfer a pattern to tear-away stabilizer (instead of the tracing paper) and stitch through that and your fabric. Tear away the stabilizer when done. Magic! Great ideas. I also like the stablilizer. 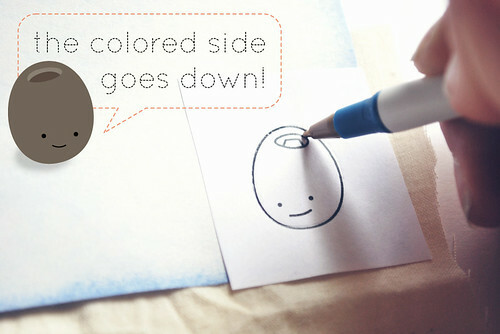 I use Sulky's water-soluable stabilizer. It's clear and easy to trace and sew through. And you can just wash it away with water. 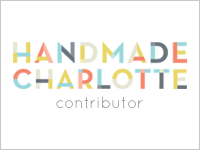 I use it a lot as I hand embroider on towels. Hi Didi! If you're tracing a pattern right onto the fabric, you don't need to make the designs backwards. You only need to reverse them for transfer techniques where you iron the design onto the fabric. 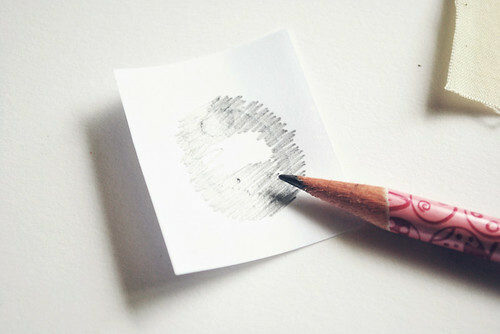 Common tools that use this reversed image technique are: Sulky transfer pens, hot iron transfer pencils, traditional iron-on transfer patterns, or using photocopied images. 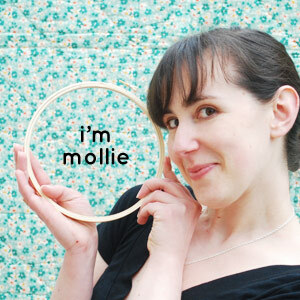 Thanks Mollie for clarifying! I tried the iron on transfer pattern and learnt that it CAN be tricky if you don't do it perfectly :s Boo. And the iron on can't be erased? or can it be? I am stitching white on white on 200 hankies. Does anyone have ideas for quickly transferring the design to each hankie? Also, I need the finished product to look completely white, so the transfer will need to be able to be washed/ironed/etc. out. 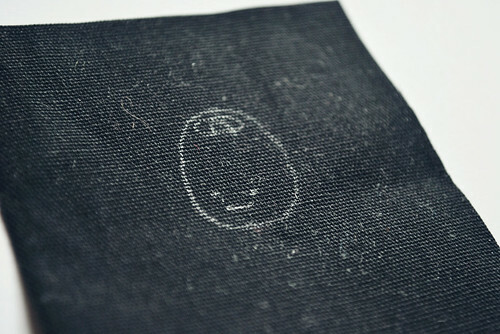 Or maybe a pale gray transfer would be light enough to be covered by the white thread? Thank you for any suggestions! You'll be able to print the patterns onto the water-soluble material, which will save a ton of time, and none of the ink is right on the fabric. Also, it acts as a stabilizer, which should be helpful on the hankie fabric. Thank you so much! That is so helpful. I've been using a makeshift lightbox by placing a glass cutting board (any piece of glass really) over the top of a lampshade. (I have a couple standing lamps with wide shades.) 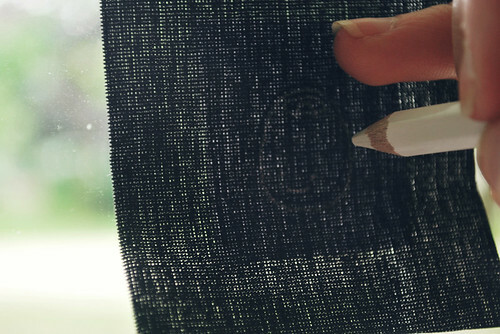 Tape your pattern to the glass, place your fabric over it and trace. It's easier for me than using a window because the light is brighter and I'm not at a weird angle.